Be the first to share your favorite memory, photo or story of James D.. This memorial page is dedicated for family, friends and future generations to celebrate the life of their loved one. 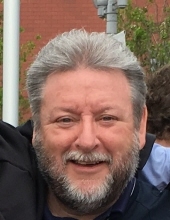 James D. Finan, “ Jim “, 61, died Friday, March 22, 2019. Born in Kearny, he lived in Belleville and Kearny before moving to Newton 23 years ago. He worked as a sales representative for Venco Sales, Inc. in Huntington, N.Y. for the past 11 years. Earlier he worked as a sales representative for Ridgewood Corp. in Newburgh, N.Y. He was a member of the National Association of Oil & Energy Service Professionals in New Jersey. Jim was a parishioner of St. Joseph’s Church in Newton. He was the beloved husband of Cindy ( nee McNamara ); the devoted father of Breanne and James ; and the dear brother of Patty Carona, MaryBeth Simone, Michael Finan and the late Kathy Black and Eileen Hartford. Relatives and friend are invited to meet at Our Lady Queen of Peace Church, North Arlington on Tuesday, March 26th for the Funeral Mass at 10 a.m. Visitation will be held at the Parow Funeral Home 185 Ridge Rd., North Arlington on Monday, March 25th from 4-8 p.m. In lieu of flowers the family would appreciate donations made to the Newton First Aid Squad, 68 Sussex Street, Newton, N.J. 07860. To send flowers or a remembrance gift to the family of James D. " Jim " Finan, please visit our Tribute Store. "Email Address" would like to share the life celebration of James D. " Jim " Finan. Click on the "link" to go to share a favorite memory or leave a condolence message for the family.